I feel like I say this a lot, but 30 inch wheels on a motorcycle is not just excessive, it’s just plain repulsive. And if that wasn’t enough, now even 32 inch wheels are available for bikes, although the 30 inch seems to be the norm for… whatever this trend wants to be. More and more companies front their take on the massive wheels, and Ride Wright just presented theirs. Called the Omega, the 30 inch wheels go for a nice, multi-spoke design, which will appeal to a lot of bikers out there. Ride Wright offers the Omega 30 inch wheels in 40, 50, 60 and 80 spoke variants. Right now, prices are not available, but whatever they turn out to be, it will be far too much for what they offer. 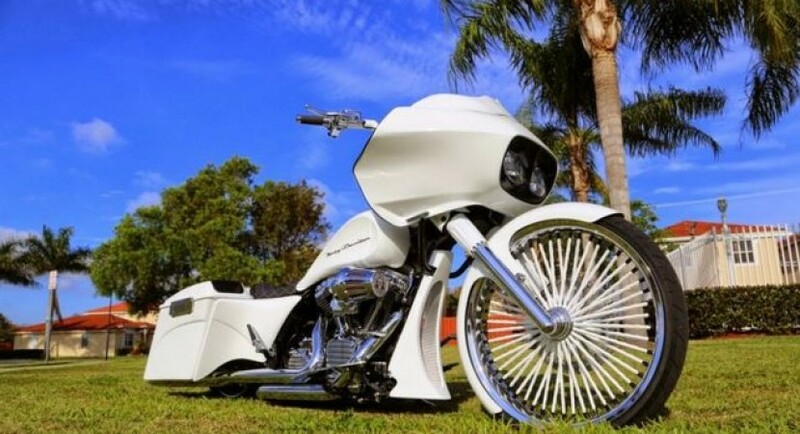 While I do like the fact that manufacturer are pushing boundaries and still coming up with new looks for the motorcycle industry, I will always believe this is not really the way to go. Unfortunately, these 30 inch wheels seem to sell rather well, so I guess we’ll be seeing more of them soon enough.